Lois Ann (Berry) Bryant, age 90, passed peacefully on August 13, 2018, at Appleridge Senior Living, Horseheads. Lois, or Ann as she was called by most people, was born April 3, 1928 in Elmira to Joseph and Fanny Berry. She was predeceased by her parents and her sister, Eva Berry Longwell. Ann’s father was a professional musician who gave her a lifelong love of music, which she then passed on to her daughter Carol. Ann attended Southside High School where she met the love of her life and future husband, Wayne Bryant. They both graduated from high school in 1946, and Ann then attended Keuka College while Wayne was recruited by American LaFrance. Ann’s father Joseph Berry passed away in 1948, at which time Ann returned home to help her mother while she completed her bachelor’s degree at Elmira College. Upon graduation, Ann was hired by the Chemung County Children’s Welfare Division where she worked as a Social Worker for 10 years. Ann and Wayne married on August 2, 1952, and soon settled in Horseheads. They adopted their daughter Carol Ann in 1958 and son David Alan in 1960, and Ann went back to school to earn a degree in education so she could have the same schedule as her children. She was a beloved kindergarten teacher in the Elmira School District for 26 years, serving in Fassett, Riverside, and Edgeworth schools before retiring in 1991. Ann and Wayne provided a wonderful home for their children, and enjoyed taking the family on trips to the Finger Lakes, Florida and the Adirondacks during summer vacations. Ann loved gardening and re-finishing antique furniture, and always kept the house filled with fresh baked cookies, pies and cakes. She was also skilled at helping Wayne with many construction projects on their home and three rental properties they owned for many years. In 1977 the Bryants purchased a small fishing shack on Seneca Lake and together renovated it into a lovely summer cottage. After retirement, Ann and Wayne enjoyed the cottage and traveling on their own and with friends and relatives, visiting Hawaii, Alaska, the Caribbean, the Panama Canal, the Grand Canyon, upper Ontario, and many other destinations. They were also very involved in the raising of their grandson, James Bryant. 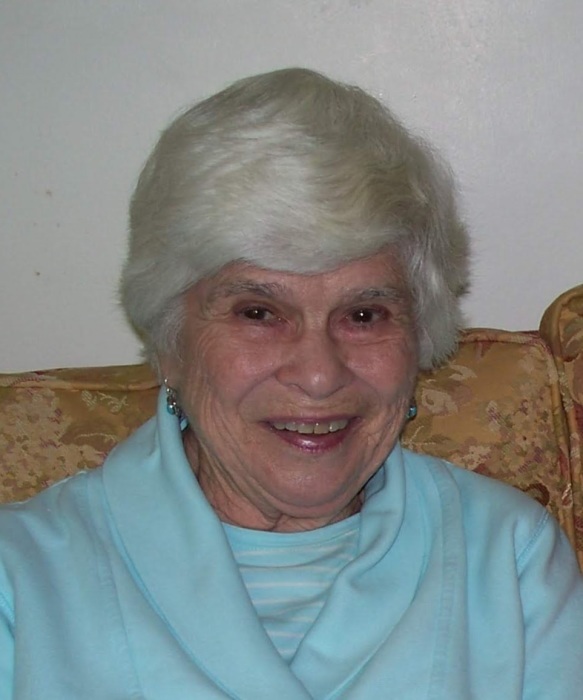 Ann was always cheerful, friendly, curious, and a loving wife and mother. After a long happy and healthy life, she was diagnosed with Alzheimer’s disease in 2015 and suffered a stroke in 2016. Throughout her illness, Ann never complained and continued to show her great love for her devoted husband Wayne. The family extends thanks to the staff at Appleridge and Care First for taking such good care of Ann during her final months. Ann is survived by her beloved husband Wayne Bryant of Horseheads; daughter Carol Bryant and son-in-law Richard Ward of Skaneateles, NY; son David Bryant and daughter-in-law Valerie of Burdett; grandson James Bryant of Elmira; Carol’s 5 step-children and 13 step-grandchildren; and 5 nieces and nephews. Family and friends are invited to call at Barber Funeral Home, 413 Main St. Horseheads on Friday, August 17, 2018 from 1:00-2:00pm. Her service will follow in the funeral home at 2:00pm, with burial immediately following in Maple Grove Cemetery, Horseheads. In lieu of flowers, those wishing to remember Ann are encouraged to donate to a charity of their choice. Condolences at www.barberfuneralhome.com.